Stanek windows are made with a variety of high-performance glass options to meet your energy performance and budgetary needs. Glass performance is key to achieving lower energy bills. The type of glass in a window affects the flow of heat in and out of your home, the amount of light that comes through the window as well as the amount of noise that you hear from your home. 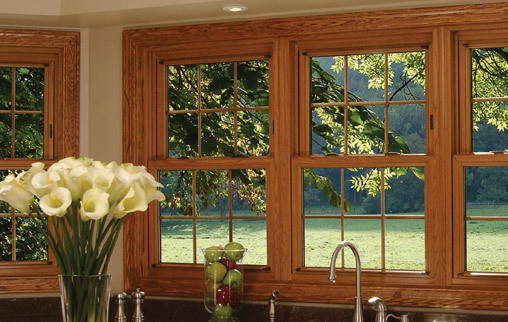 Windows also play a major role in the energy efficiency of a home. Experts estimate that 70 percent of energy loss occurs in windows and doors and 90 percent of window heat loss occurs through the glass. 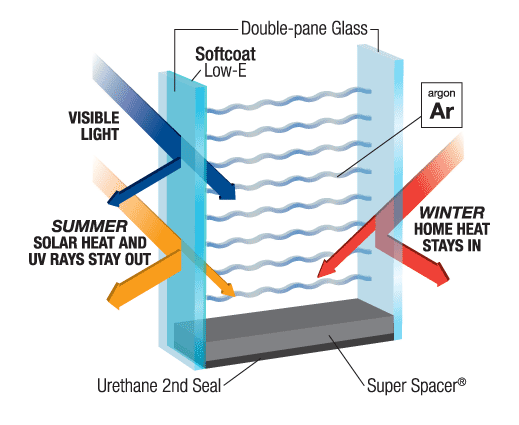 Ensure your comfort and lower your heating and cooling costs with our Comfort-Gard PLUS high-performance glass. It’s one of the most advanced glass options available without unwanted room darkening effects to maximize heating and cooling return. The Comfort-Gard PLUS high performance glass outperforms most of the competitor’s comparable products. Maximize your comfort and lower your heating and cooling costs with our Comfort-Gard Xtreme high-performance glass. 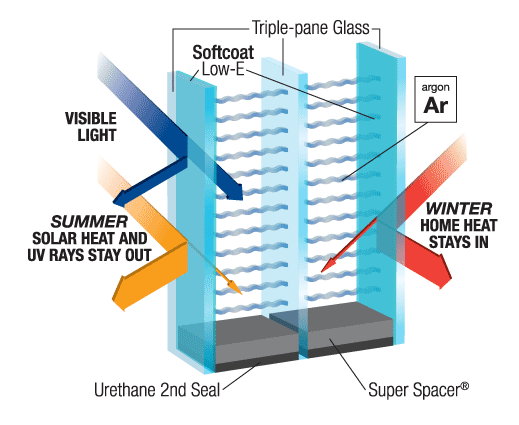 This triple-pane glass is filled with two layers of argon or krypton gas as well as two layers of soft-coat Low-E, which makes this option the most energy-efficient glass on the market. Best for use in: All Climates, especially where extreme cold or extreme heat occur. Also ideal for maximum noise control.